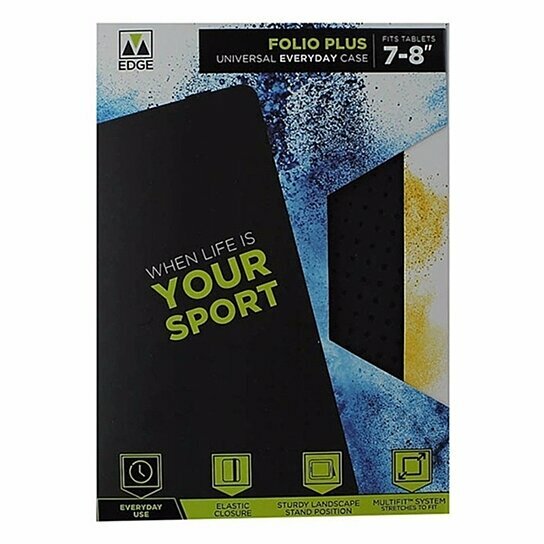 M-Edge products, Folio Plus Case for 8-inch Tablets. Black textured grip exterior with an all black interior. MultiFit silicone mount fits a variety of sizes and thickness. Built-in stand.